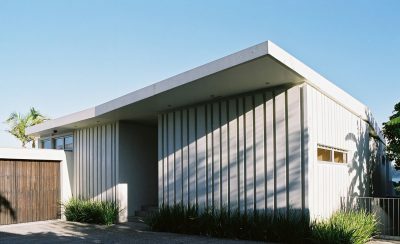 The house for a family is situated on a quiet street in the inner Auckland suburb of Herne Bay. 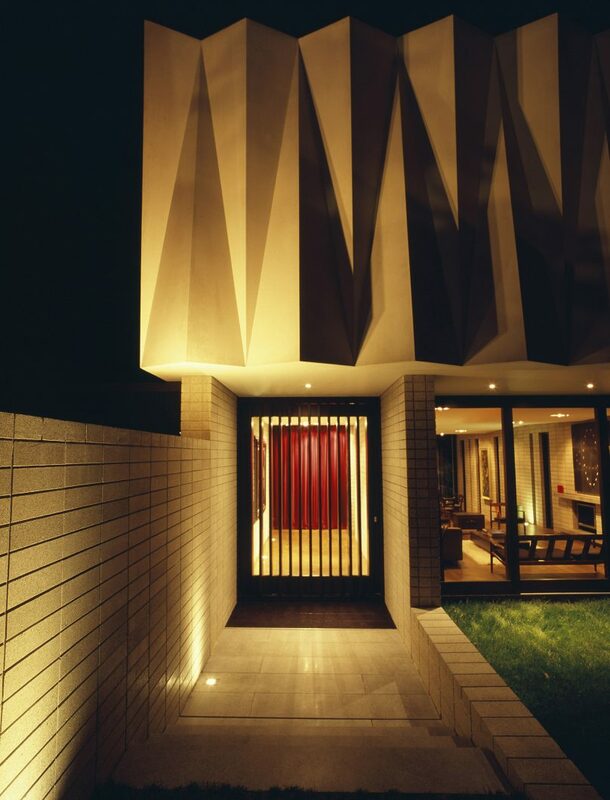 Honed concrete blocks, dark stained timber and white pre-cast concrete have been combined in an intensive sculptural composition that has a sense of permanence and craft. The cast concrete facade acts simultaneously as a public sculpture, a gift to the street, and as a protective mask for the private spaces behind. 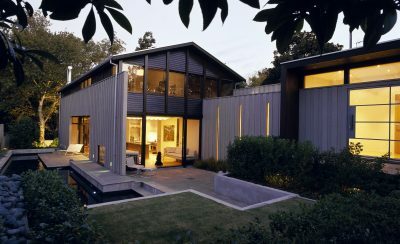 The living spaces are laid out in a linear progression along the length of the site, connecting the front courtyard to the back yard. This continuous space steps down several levels, following the natural slope of the land, defining distinct living and dining areas. The three bedrooms are on the upper floor along with the ‘sky lounge’, with views over the harbour. The ‘sky lounge’ can function as a private living space with separate stair access, or as an extension to the main bedroom suite.